No doctrine in the history of the church has carried with it less dogmatism than the issue of eschatology. Outside of second coming of Jesus Christ, bodily resurrection, and eternal state (all supported by the earliest creeds), the church has had freedom to expound on the Scriptures. This has led to many differing views throughout church history with certain time periods occasionally being dominated by one view. American evangelicalism is coming out of one of those periods after a time of strong dispensational premillennial conviction (e.g. futurist view of revelation, literal seven year tribulation, pre-tribulation rapture, etc.). Himself coming out of this persuasion, Sam Storms has penned Kingdom Come: The Amillennial Alternative (henceforth Kingdom Come) as a guide for those seeking to explore the landscape of eschatology while also thoroughly refuting all forms of premillennialism. Storms, a pastor out of Oklahoma, is an engaging writer despite the dryness often associated with matters of eschatology. The chapters in Kingdom Come are many but each chapter deals with very specific elements and questions on the end times. This allows the volume to be read both straight through but also in parts, as certain subjects demand attention. In fact, it is the later option that will serve individuals better depending upon their eschatological background. Many of the early chapters in Kingdom Come are focused on refuting premillennialism (e.g. chapter 3 titled “The Seventy Weeks of Daniel 9 and the Old Testament Roots of Dispensationalism” and chapter 5 titled “Problems with Premillennialism”). Though outstanding, it is a problem that Storms’ actual defense of amillennialism proper does not begin until pages 423 (!). Before addressing his brand of amillennialism, Storms discusses replacement theology (chapter 6), the Olivet Discourse (chapter 7 & 8), and even postmillennialism (chapter 12). All of these topics highlight the “alternative” perspective of Storms’ approach. Amillennialism, in the end, for Storms is the only available option that is faithful to the full breadth of Scripture. In spite of all this, Storms does save some of his best exegetical work for Revelation 20. Working through the texts, Storms argues for an amillennialism of “the present reign of the souls of deceased believers with Christ in heaven” (425). Perhaps today the least common of the amillennial variants, Storms follows in the footsteps of Anthony Hoekma with this historically amillennial view. It is at this point of Kingdom Come that the gloves come off with respect to the binding of Satan (429-450) and the first resurrection (457-469). In conclusion, premillennial individuals may find themselves frequently on the defensive. Postmillennial preterists will find their positions faithful portrayed and even praised (413; 583-584) which may confuse some readers seeking a hardline amillennialist. Those seeking a comprehensive lay of eschatology will be satisfied with Kingdom Come though they may best appreciate it when read out of order (starting with the later amillennial chapters). 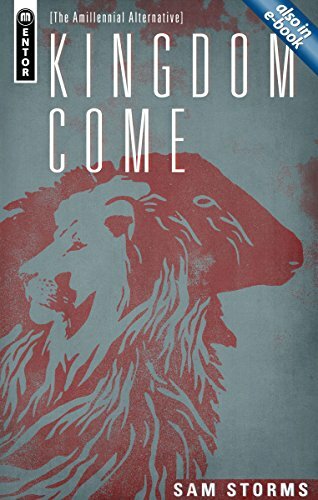 Sam Storms’ Kingdom Come does not top Kim Riddelbarger’s A Case for Amillennialism in defense of the amillennial “alternative” but it is certainly a more comprehensive work on eschatology and better suited for individuals questioning their premillennial background.